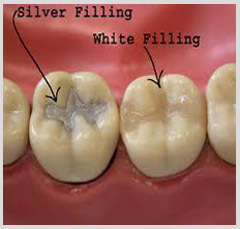 The Benefits of Mercury Free Fillings and the Risks of Amalgam. When we introduce foreign materials into our bodies we run the risk of bringing in unfamiliar enemies into out system that can sometimes have adverse reactions on our health. Amalgam is a filling material in the center of much scrutiny these days. This 150 year old compound is comprised of 50 percent mercury and 50 percent powdered alloy of silver, tin, and copper. There are several different forms of mercury. The mercury associated with dental amalgam is elemental mercury, which releases mercury vapor. Mercury vapor, unlike, for example: methyl mercury (the mercury found in fish and that is absorbed through the digestive tract), is absorbed through the lungs. There is limited clinical information about the potential effects of dental amalgam fillings on pregnant women and their developing fetuses. Studies, however, do show that traces of mercury can be found in the breast milk of pregnant and nursing mothers. In addition to the health risks that amalgam poses, some individuals also may have sensitivity to mercury or allergy. Individuals might develop oral lesions or other contact reactions. 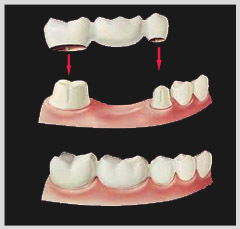 Another benefit of using a composite resin is that the look of the tooth is more aesthetically pleasing. Composite resin can be made into a broad spectrum of colors, yielding virtually undetectable work. In our office we use composite resin as a natural-looking, tooth-colored alternative to unsightly silver fillings. Fillings are a breeze compared to a root canal or extraction. Remember, prevention is the key and scheduling routine dental exams will keep your mouth healthy and your smile beautiful!